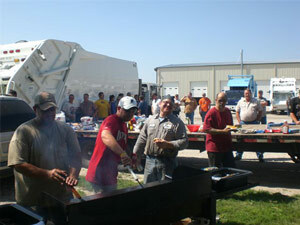 SCRANTON, IA - The New Way® quarterly company cook-out was held Thursday, September 1st at the plant in Scranton, Iowa. 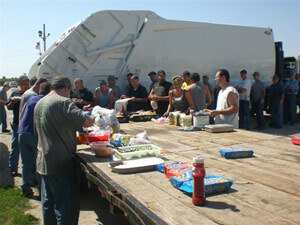 Approximately 170 employees came together to enjoy barbecue and receive an update on New Way® affairs. Jim Ober, VP of Operations, spoke with the group about manufacturing developments and Phil Allen, EVP of Sales and Marketing, shared updates on sales activity and upcoming orders. 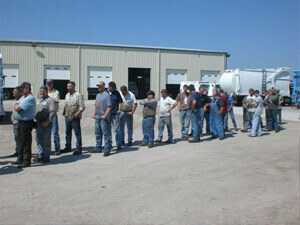 The quarterly plant meeting is an ongoing effort by New Way® to come together as a company and provide a forum for the exchange of information and ideas, contributing to the long-term success of the organization.